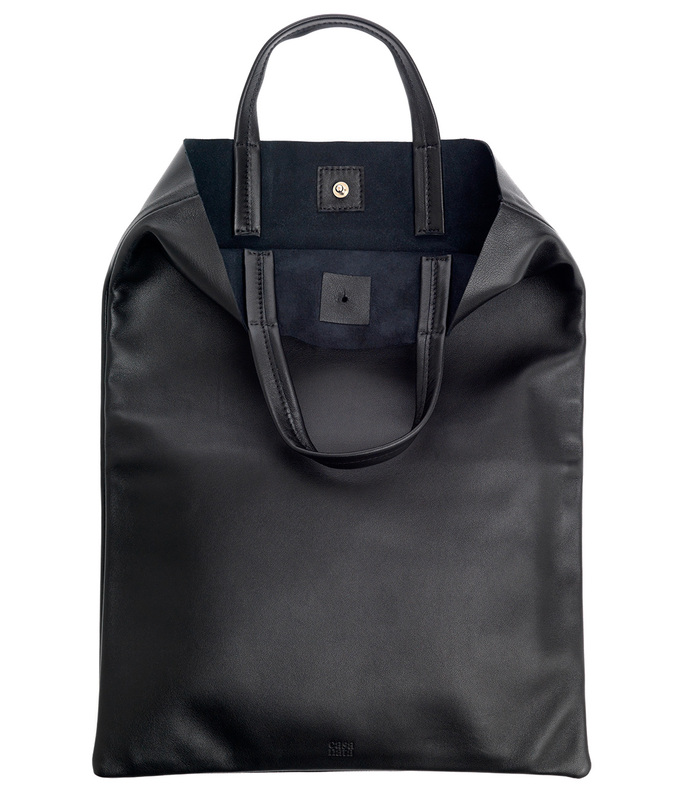 This black tote bag is a clean and contemporary piece with a luxurious undertone. 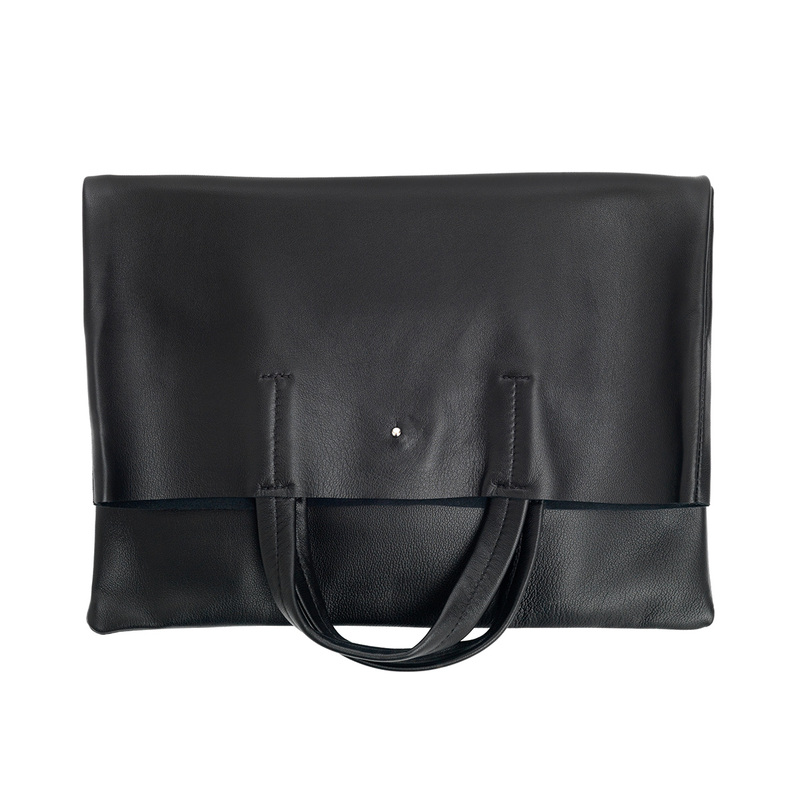 It’s crafted in Germany from butter-soft lamb-skin to a minimalist silhouette with two top handles and a small silver bead for closing the top. 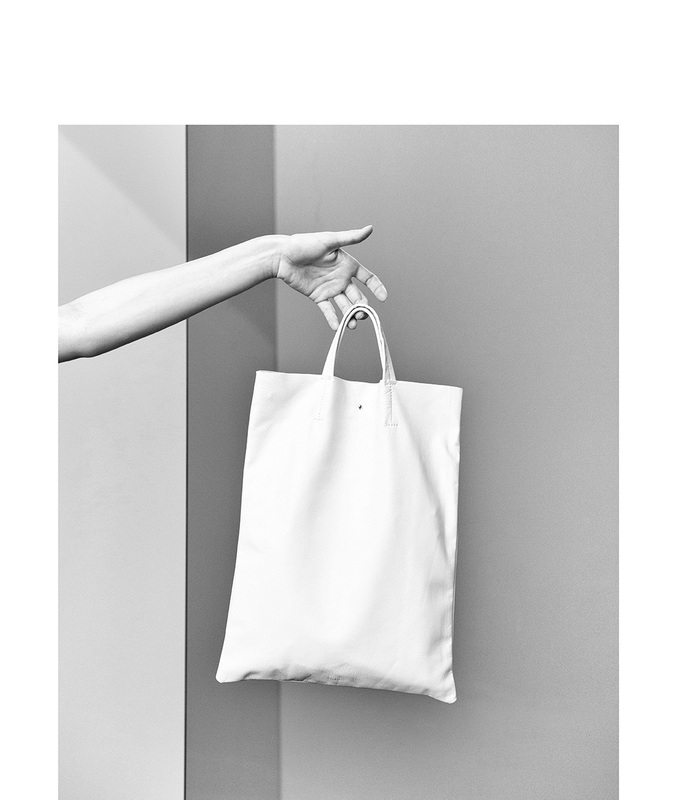 The bag is unlined, super light and offers enough space for the daily essentials. Wear it in the evening as a clutch bag, folded in the middle.